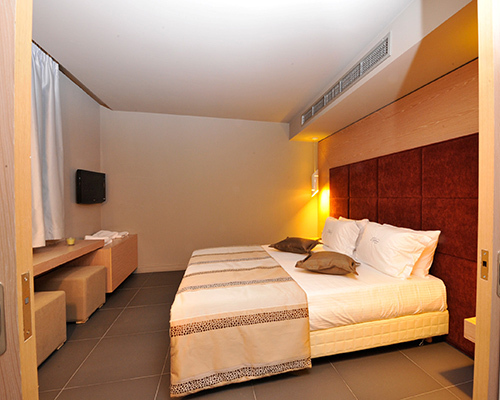 Deluxe rooms feature contemporary design, charming furnishing and sophisticated style. They welcome you to experience unique moments of relaxation in the comfortable 35sqm rooms, and enjoy a warm hospitality with modern, luxurious amenities. Enjoy your coffee in the private balcony, overlooking the sea and the hotel’s gardens. Delicately designed in earthy colors, Elysion Hotel’s Suites exude warmth, elegance and tranquility, without unnecessary additions. 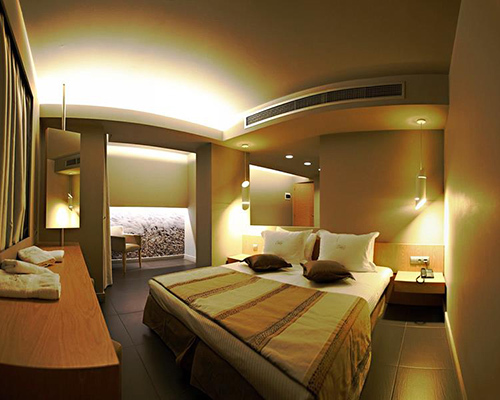 Each suite is 40sqm big and has two areas, separated from each other in order to maximize privacy. Quality decoration, great views and a full variety of amenities make up an excellent choice. 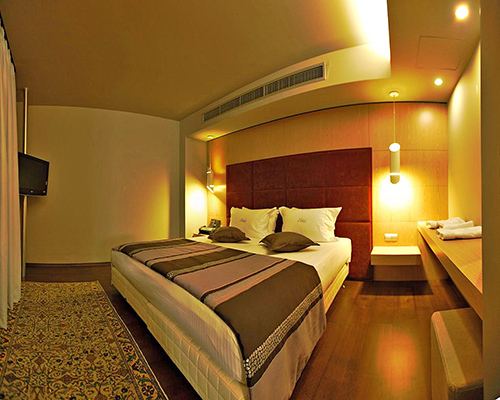 Austere luxury “comes alive” in the extremely spacious, modish and minimalistic Executive Rooms. An interior space of 45sqm and a 10sqm balcony-terrace with the best direct views to the gardens and the Aegean await guests looking for a comfortable, high-quality stay. Explore private privileges, enjoy amazing views of the Aegean Sea and let us provide high standard services for your holiday. At Elysion Hotel we feel happy to provide a pleasant stay to everyone. This particularly comfortable deluxe room of 35sqm has the same sense of elegant luxury in decorating and furnishing, as every other room, and has all the specifications to serve guests who are experiencing physical difficulties.